Running Can Break You Down Or Keep You Fit! Running can be a fantastic way to engage your fitness and endurance. It’s also an outstanding cardiovascular booster that can help you stay in shape. Unfortunately, running can also be pretty hard on your body whether you choose to run outdoors and take in the scenery or you use a treadmill in a gym or the comfort of your own home. Injuries, sometimes rather serious ones, can plague runners and keep them from doing what they love best. How can you enjoy the benefits of running without the potential injury pitfalls? A lot depends on just how much running your actually doing. 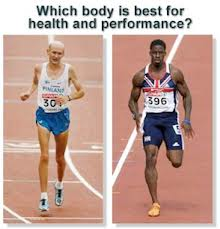 Can Too Much Exercise and Training Damage You? Consider the length of your typical run – Make sure you know the distance you go during your routine run, be it 1 mile or 7. The benefit of covering more than 7 miles with your runs is highly debatable obviously influenced by your pace. Remember cross training will keep you fitter and healthier. Grab a calendar and map out a six-week plan. For the first five weeks of the plan, aim to run your normal distance. On week 6, take that distance and cut it in half for the entire week. So if you normally run 5 miles a day, just run 2 1/2 in week six. This “rest” period enables you to keep running in your exercise routine while still affording a body a chance to recover a bit from the previous five weeks of more strenuous activity. Rinse and repeat while putting other injury-sparing measures into place. Honestly, many runners train too much! No one needs to run every day unless you’re a professional training for an event. You will find days off, mixed distances, and different pace scenarios will serve you well. Keep it fresh and interesting and avoid the steady state running. Stretching matters – Yes, this is an oldie, but a goodie. Be sure to take the time to properly heat the muscle tissue up before each run. Once you’re warmed up, you can start to stretch lightly. Try and avoid stretching cold muscles. Don’t forget to cool down after your run. This is another great time to stretch out the muscles actively. Doing so can help you break down lactate acid and avoid injuries that might sideline future runs. Wear the right shoes – It’s imperative to have a solid pair of running shoes before you hit the pavement. If running is a passion, or you think it will become so, make sure to get higher quality shoes that are especially designed for runners. If you want to make sure you’re not over running and training use a minimalist shoe.